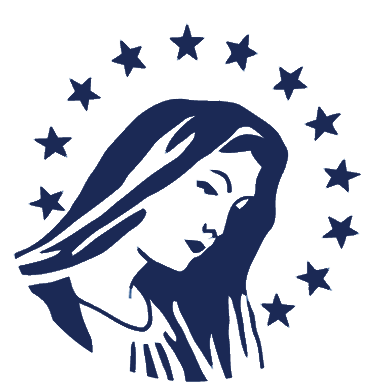 Mother of Divine Grace School offers a Catholic, classical approach to distance learning. It was founded in 1995 to provide parents with the information, resources, and support necessary to educate their children according to the classical tradition. Located in Ojai, CA, Mother of Divine Grace School serves over 4,500 students. Mother of Divine Grace School is accredited by the Western Association of Schools and Colleges (WASC). Thomas Aquinas College is hosting an Open House at its new East Coast Campus on April 7th! High school families are invited to visit Thomas Aquinas College's West Coast campus for an Open House on Saturday, March 2nd! We are pleased to announce that Our Catholic Hymns is now available! The hymn book can be purchased in the bookstore, and recordings of the hymns and chants are available to stream for free under resources on the public site. We are excited to announce that the Mother of Divine Grace School Baccalaureate Mass and Commencement Ceremony for the Class of 2019 will take place on May 25th, 2019, at Thomas Aquinas College, in Santa Paula, CA! We are pleased to announce our new Third Grade Art Book is now available for purchase in our bookstore. The paintings in this 102 page text are accompanied by questions to help the child observe and appreciate art. The goal in this book is to help the student memorize the titles of paintings and be able to identify the artists who painted them. The activities are tailored to these memorization goals. The text can be used for many years. MODG Students in the St. Monica Rocketry Club recently travelled to the NASA Space Center in Alabama to compete in the 2018 NASA Student Launch. MODG is now selling copies of our syllabi, as well as many of the essential and recommended supplemental texts used in our syllabi. Both enrolled and non-enrolled families can purchase these items from MODG's online bookstore: books.modg.org. Enrolled families receive a discount on syllabi and books, but must log-in to their family account in order to get the discount.